This summer’s research project is to find new ways to help keep Tinderbox and Storyspace maps organized. This involves some very simple ideas – tool to align notes – to some fairly complicated things I’d like to try. One of the simple ideas turns out to be complicated. Tinderbox (like Keynote, OmniGraffle, and lots of diagramming programs) offers some dynamic guides which, as you drag notes, try to keep notes lined up. If two notes are nearly aligned, the guides snap the notes so they line up precisely. Easy enough! Right now, Tinderbox looks all over the place for potential alignments. That’s not elegant: you probably want to align on the nearest note, not a note in the outskirts of Gloucester. Fair enough. Then, you might want to have more guides. For ages, I've wanted to be able to align the centerlines of two notes. It’s easy to imagine more kinds of guides, and it’s likely that, once we start, Tinderbox users will suggest new guides we hadn’t thought about. To do this, we add a collection of advisors – we’ll call them kibbitzers. Each kibbitzer looks for one kind of alignment: for example, the "top edge kibbitzer" looks for opportunities to align the top edges of notes. The “top edge touching kibbitzer” looks for top edges that are almost, but not quite, touching the bottom edge of another note. As we rearrange the map, this crowd of kibbitzers nudges things into place. That could be a mess if two kibbitzers disagree, so the kibbitzers have a pecking order. Kibbitzers can work together: for example, one kibbitzer might handle the vertical placement while another adjusts the horizontal placement. One problem with this sort of design is that, when things go wrong, it’s like kittens in a basket of yarn. For example, suppose a kibbitzer intends to align left edges, but mistakenly looks at the top edge instead. It sees alignments that don’t exist, it speaks up when it should be silent and is silent when it should speak up, and when it tries to help you, it puts notes in distant and arbitrary places. Worse, the other kibbitzers now see that note in a new place and helpfully try to adjust the note again, based on its crazy new placement. By the time everyone settles down, it’s cake on a rake. This one actually happened to me this morning. I solved it (eventually) with diagnostic writes. It was not a lot of fun. Unit tests for isolated kibbitzers aren’t that hard, but it’s not hard to imagine problems that only arise when you have several kibbitzers trying to meddle at the same time, and that’s combinatorially explosive. Suddenly, political violence is once more an immediate concern. Trump rallies are incendiary, and Trump’s bizarre denunciations of judges on racial and religious grounds light other fires. Once we accept violence in politics, it will be incredibly hard to return to a sane and livable world. At the same time, the internet is threatened by a wave of politically-inspired extortion. Gamergate has discovered a valuable new tactic: they can force opponents to acquiesce in their schemes by using opposition research to threaten them, their families, and their jobs. The proving ground has been Wikipedia; if it works there – and at the moment it’s working well — it will spread throughout what remains of the open, non-corporate Web. Gamergate itself was a juvenile conspiracy of trolls, but their success has now inspired large and capable right-wing operations across the globe. Widespread extortion is a threat to civil society and to a free internet. The situation is especially dire at Wikipedia, the encyclopedia that “anyone can edit.” Once the threat of opposition research becomes established, no responsible person will dare defy the extortionists. Responsible people – especially teachers – now edit at grave risk to their careers. Encouraging students to edit, once a widespread practice, exposes them to anti-semitism, sexual harassment, and extortion. Gamergate and its Trumpeter allies have forced reform administrator “Gamaliel” – elected last December to the Arbitration Committee (the supreme authority for Wiki governance) on an anti-harassment platform – to accede to their ongoing assault on Wikipedia. Gamaliel works as a librarian at a Catholic university in the United States. Gamergate thought he was a thorn in their side. To silence a perceived critic, Gamergate supporters wrote to his employer, threatening to tie the school to child abuse. In the wake of these threats, Gamaliel was forced to take the extraordinary step of asking to be banned from sanctioning Gamergate violations and was then forced to resign from his elected post and abandon Wikipedia. Last year, Gamergate launched an operation aimed at silencing five feminist Wikipedians. In an infamous decision, Wikipedia gave Gamergate everything they asked. Unsatisfied, Gamergate launched a new operation targeting Gamaliel (and me, but I was a very secondary target). Amazingly, Wikipedia fell for it again. In an astonishing turn of events, Trump supporters brought a case against Gamaliel for publishing, as editor of a Wikipedia newsletter, an April Fool’s Day joke headline regarding Donald Trump’s small hands. Was this a blatant violation of Wikipedia’s libel policy? Of course not. Graydon Carter’s famous Spy Magazine profile called Trump “a short-fingered vulgarian” back in 1988. Marco Rubio talked about Trump’s “small hands” in a February 29 speech, which Trump discussed in embarrassing depth with the Washington Post. The New Yorker put Trump’s small hands on its cover. Did Wikipedia stand up for their volunteer, who was facing harassment over a Trumped-up case, and who had been silenced by threats to his livelihood? No: they admonished him and forced him to resign from the committee. After ten years and 74,912 edits to the encyclopedia, Gamaliel has been effectively removed from the project. Gamaliel has recently been the subject of at least one death threat related to Gamergate, and Gamergate boards are rife with sexual innuendo and opposition research directed at him. Elsewhere, Gamergate is making great strides. For example, the infamous harassment of Alison Rapp has been scrubbed from Wikipedia’s history of Gamergate. Gamergate believed (incorrectly) that Rapp, a Nintendo marketing employee, had deemphasized some sexual elements in American versions of Nintendo games. A sophisticated opposition research operation pored over Rapp’s student essays, ancient Twitter discussions, and photographs. They put together allegations of sexual impropriety and ultimately convinced Nintendo to dismiss her. Her husband — a barrista at a Nintendo office — lost his job as well. The harassers used Wikipedia talk pages to publicize rumors and allegations about Rapp when they were seeking her dismissal. The harassment having succeeded, mentioning the harassment in Wikipedia no longer serves Gamergate’s purpose and – voila! – the episode has been expunged from the encyclopedia. That a group of anonymous trolls might plan a campaign of extortion against a Wikipedia arbitrator is dismaying. That Wikipedia is willing to accept the harassment and to acquiesce in extortion is shocking, even to a writer who has a low opinion of Wikipedia. In recent months, two Wikipedia trustees – one a popular community representative – have been forced to resign. Then, the executive director was forced out. Now, a newly-elected arbitrator elected on an anti-harassment platform has been forced to resign, after he was targeted by the harassers he had sought to rein in. The only defense against routine extortion is, in the end, defiance. Wikipedia chose to appease the extortionists; that makes them part of the problem. Take great care when editing Wikipedia. Understand that if you edit, even anonymously, shadowy right-wing networks may track you down and do their best to destroy you. Never give your Wikipedia user name and password to anyone else, even if you never use them. Gamergate, the Trump-eters, and a network of Russian trolls all collect disused accounts, which they refurbish and weaponize. Urge Google and other search providers to use Wikipedia content with care, and to avoid promoting Wikipedia in search results. Avoid linking to Wikipedia. Support regulatory and legislative reform. 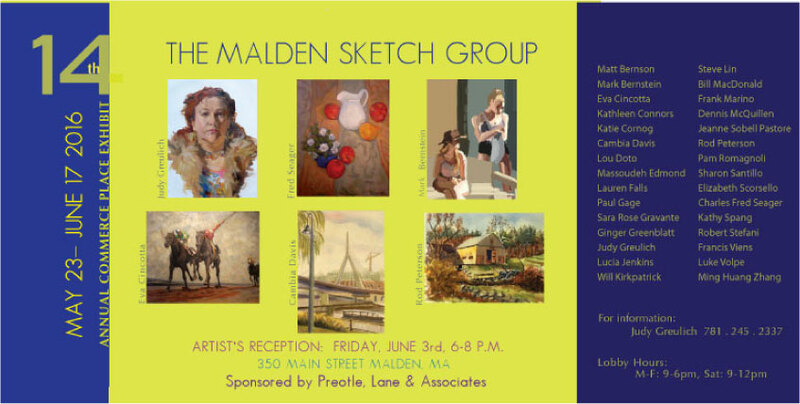 One leader in this area is Massachusetts Congresswoman Katherine Clark; if you know of others – especially EU legislators – let me know. Clark will shortly introduce legislation to clarify that internet “sextortion” is a crime; this is a very important starting point for the defense of the free internet. 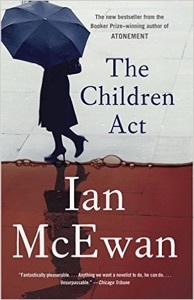 Superb McEwan, with insightful and real prose that has impact but never calls attention to itself. A family court judge discovers that her own marriage is not quite as solid as she would like, as several of her cases escape from the court room to haunt her. Anyway, Montgomery was an interesting fellow who was so good at putting up a façade that he leaves his biographer with rather little to work with: there’s plenty of incident and lots of photo opportunities but not a lot of character. Perhaps Caddice-Adams’ best moment is at Normandy when he points out that, for the first day, the majority of the troops in France were British. It was the end of a long era: Britain’s last day as a superpower. 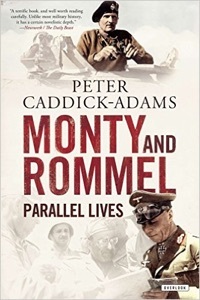 This book spends a lot of time on strategy and tactics, but doesn’t quite pin down whether Montgomery’s famous caution was a sensible response to his manpower problems, to the memory of the trenches, or to the complex political climate he inhabited. I wish, too, that I knew what Montgomery thought of Macarthur – not only in the Pacific War, but even more in Korea. Montgomery had his problems with Churchill (and separately with Clementine Churchill); I wonder what he made of the “old soldiers never die” speech. This is a school story that doesn’t care about school or use school to any particular end beyond its unforgettable line: “for anyone who has been to an English public school will always feel comparatively at home in prison.” Even that is asserted, not argued. I suspect that this burlesque of the modern workplace carried a lot more punch in 1928, and though generations of screwball comedy have dulled its edge, this remains a pleasant romp. 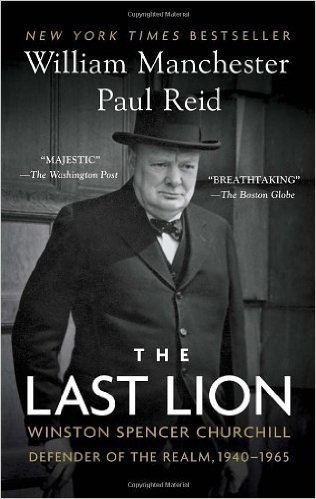 A huge and brilliant volume, tightly focussed on a fascinating and witty statesman and his inner circle. 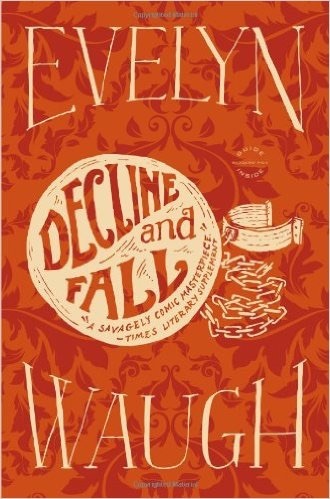 Manchester was a captivating writer, and when a stroke prevented him from finishing the work, Reid stepped in and ably emulated Manchester’s skill at working detail into a compelling narrative. 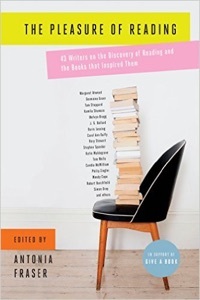 It’s a big book – 1200 pages, or 53 hours in Clive Chafer’s able reading – but it always moves right along. Churchill seldom bought anything and carried no money; people did that for him, even though he was not rich until his war memoirs made him so. He only took the tube one time in his ninety year life, most of it spent in London. He was often hilarious and always eloquent, and he managed to stuff a hell of a lot of work into a day. When my father went off to the war, this is what he smuggled into his duffel: Damon Runyon’s stories and Don Marquis’ Archy and Mehitabel. Dad took Notes From Underground rather than Pride and Prejudice, perhaps anticipating that Jane Austen’s tales were not really ideal for the South Pacific. I think that, later, he’d have swapped Alice in Wonderland for Dostoevsky. Sahib. Latest from Plato. The Republic. Also, James Hadley Chase and P. G. Wodehouse. You want Catcher in the Rye, sahib? MAD magazine? But sahib, just now unpacked. At least sample Little Dorrit by Charles Dickens. 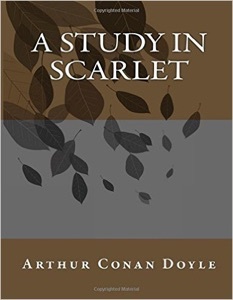 Having revisited “Study In Pink”, the first episode of the Gattis & Moffat television series, I realized that I had not read A Study In Scarlet in a long time – perhaps not since high school. It’s an interesting mystery, introducing its unforgettable characters while offering fine in handling London. Conan Doyle is so adept at establishing the time and technology that the reader forgets this was not meant to be historical fiction. The long backstory in early Mormon Utah shows Conan Doyle’s characteristic strengths and weaknesses; it’s conventional melodrama, it’s sometimes stale and sometimes predictable, but it also keeps moving and gets us where we need to go. It must have been something to meet Sherlock in the pages of The Strand, not knowing that this was going to be the Sherlock Holmes.